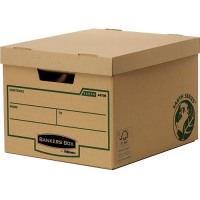 Ideal for long term and archival storage, this environmentally friendly Fellowes Bankers Box is made from 100% recycled board. 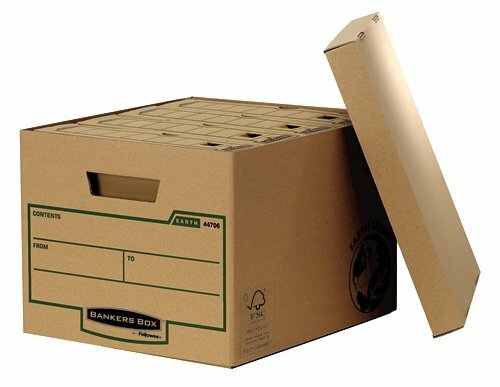 Double layers of board on the end panels and base provide additional support in, with fold back handles for comfortable carrying. 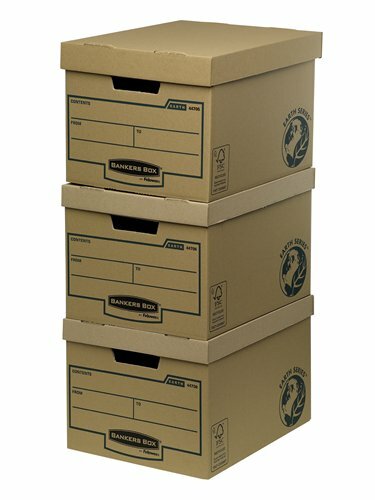 Stackable up to 3 high, this standard storage box measures W325 x D375 x H260mm. 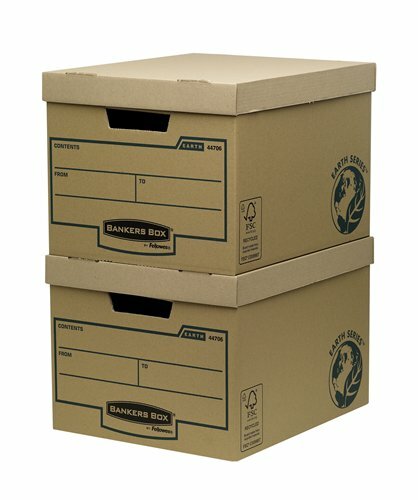 This pack contains 10 brown storage boxes.